E-Z LOK™ (Solid Wall) threaded inserts for metal are ideal for repairing or reinforcing threaded holes in soft metals like aluminum, magnesium, and cast iron. 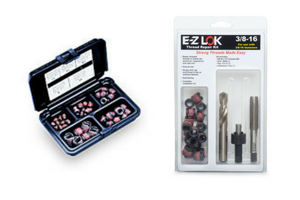 All E-Z LOK™ (Solid Wall) inserts install with standard tools. No special taps or installation tools needed. External threads are standard size and pitch to permit the use of standard drills and taps. E-Z LOK™ (Solid Wall) threaded inserts can be installed with a screwdriver, bolt/jam nut (except IC series), or optional power drive tool. 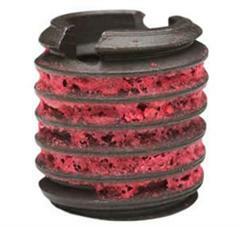 E-Z LOK™ (Solid Wall) threaded inserts will not back out or vibrate loose. Immediately upon installation, the pre-applied, microencapsulated adhesive begins to set and the new newly installed insert is fastener-ready in 3-5 minutes. The adhesive seals against liquids and gases to 6,000 psi when fully cured (72 hours). 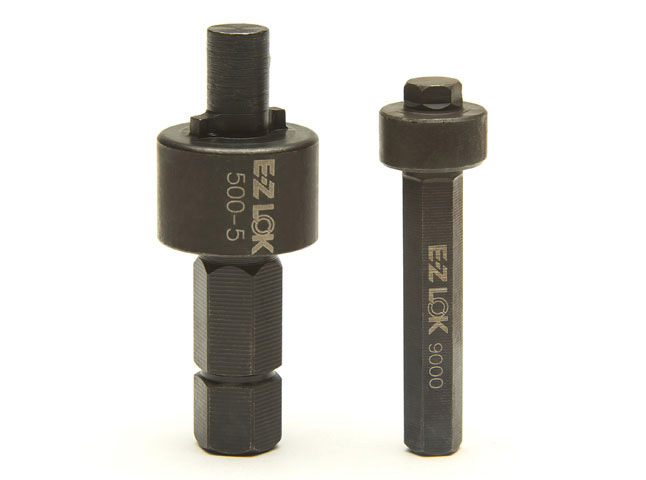 E-Z LOK™ (Solid Wall) threaded inserts for metal are removable. 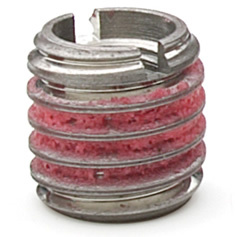 Unlike inserts that are mechanically locked in place with keys or pins, which need to be drilled out, these inserts can be removed with a bolt extractor (overcoming the resistance to torque-out produced by the adhesive) or by heating the insert to a temperature above 300°F (149°C), at which point the adhesive will release. Designed to repair damaged threads or reinforce threaded holes in cast iron, aluminum, magnesium, and other soft metals. Our kits provide a set of inserts, and all tools required to install. A standard hex shaft allows for the use of power drills or drill presses in higher volume installations. Both styles quickly drive in the inserts without time consuming thread engagement.